Pune 2nd Sep’13– At the onset of festive season , designer Priyanka Rajiv introduces her festive collection that has taken inspiration from many moods. The collection expresses the many moods of the season with skillfully arranged collection that will enhance and enliven customer’s outlooks as the festivities set in. The collection would be launched at her flagship boutique on 6th Sep would and be a dazzling affair. Priyanka caters to creme-de-la-creme of the city and her collection is adorned by the fashion connoisseurs. Though this collection Priyanka tries to express how colors and textures come together to create moods that range from sophisticated and structured to lively and vivid, encapsulating our inherent need for wardrobe variety to reflect emotions that run thoughtfully introspective to irrepressibly elated. Just as leaves change in autumn, the clients will enjoy changing their look and trying a new approach to their wardrobe. The colors used in this season are greens, emeralds and teals as they continue to add sparkle and fascinate. They bring luxury and elegance to the palette. The yellow toned green brings a lightness and brightness to the deeper shades. Blues are bringing a classic, bold and meditative feel. Exotic koi coral is adding richness and mystery to the products. Spirited red and Vivacious, wildly deep fuchsia are the statement colors bringing and happy sensuality to the collection. Staple neutrals are paired with more expressive colors .Turbulence, a dark mercurial grey and carafe, a rich glamorous brown are providing more interesting and sophisticated alternatives to the blacks. Fashionistas of the city can enjoy this collection on 6th when Priyanka unveils it at her boutique. 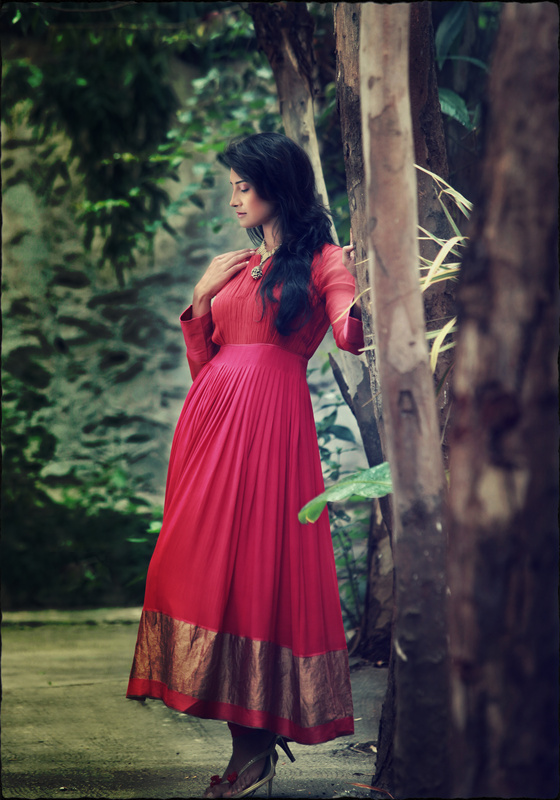 Studio Priyanka Rajiv epitomizes the amalgamation of ethnic finery and contemporary chic. While the line is global in its appeal, it emphatically boasts of traditional Indian art and craft forms. The exclusivity of the label lies in its use of ethnic art work such as traditional embroidery, bead work, etc on designs that are contemporary and cutting-edge. This coupled with an emphasis on fit, function and concept makes Studio Priyanka Rajiv an unparalleled advocate of finesse, culture and class. Studio Priyanka Rajiv encompasses couture, diffusion as well as prêt – a – porter. The signature silhouettes are mainly fluid and minimal with some striking detailing. It pays special attention to the different form of embroidery such as chikankari, gotakari and even the centuries old art of Zardozi.